Welcome to the Wild Seasons website, presenting the outstanding nature based resource of Dumfries and Galloway, south-west Scotland, to visitors and residents alike. For all those interested in the wildlife of this beautifull Scottish county. Report sitings and provide links to related sites. This village is one of the most southerly communities in Scotland; set in a picturesque and unspoilt part of Dumfries and Galloway, rich in history and with strong links to the land and the sea. We hope that one day you may be able to come in person to the Isle, but in the meantime, we invite you to make your own tour of the Isle through the many interesting pages that make up this website. There is something for everybody! Journey through Whithorn’s museum, priory, crypts, discoveries and changing architecture. This is a space to pull together information about, and work from, a range of creative people living in, and around Whithorn. In fact it has grown so much since we began with our first Arts and Crafts Trail in 2013 that we have now become an official Creative Whithorn Arts & Crafts Association. Wigtown is a traditional market town, set in the beautiful countryside of Dumfries & Galloway, south-west Scotland. It is also Scotland’s National Book Town, a designation that reflects its dozen or so secondhand bookshops and annual literary festival. 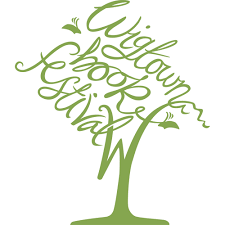 Founded in 1999, the 10-day Wigtown Book Festival is now one of the UK’s best-loved literary events and this year has more than 175 events and activities for all ages, including music, theatre, food and visual arts. The Guardian has called it “the sort of festival people become possessive about”. For something completely different. If you are looking for a Safari Holiday you will be interested in this. Fresh fish delivered every Tuesday PM.